Coffs Harbour has the big banana, Nambour has the big cow, Spreyton has, who can forget it, the big spud and new york may even be the big apple, but make the judgement yourself. 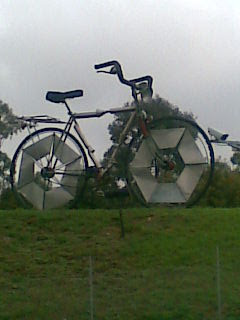 The big Bicycle at Chullora. I think there is no contest, look at that little beauty.